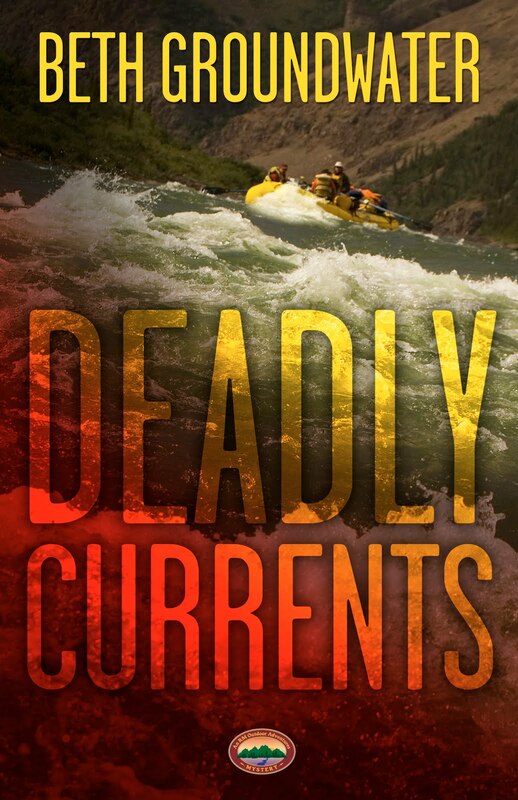 Deadly Currents, the first book in my new RM Outdoor Adventures mystery series starring whitewater river ranger Mandy Tanner, takes place in the Arkansas River valley in central Colorado. This scenic valley is sandwiched between the Sawatch Range of the Rocky Mountains to the west and the Mosquito Range to the east. Contrary to the surrounding snow-capped peaks, the valley is so dry and sunny that it is known as Colorado's "Banana Belt." Like many of its residents, Mandy loves being outdoors in all seasons, soaking up the sunshine and whitewater spray from the river’s rapids. Cottonwood, willow and alder trees grow along the river banks and higher up, the hills are forested with Ponderosa pine and Douglas fir. In these forests, you might spot mule deer, elk, bighorn sheep, foxes, beavers, muskrats, skunks, rabbits, and maybe even an occasional rattlesnake. Birds are abundant and so are fat fish, so birders and fly fishermen flock to the valley along with rafting, hiking, skiing (on nearby Monarch Mountain) and mountain biking enthusiasts. After a full day of communing with nature, many head for the local hot springs to relax sore muscles and commune with each other. The Arkansas River that Mandy patrols is the most commercially rafted river in the United States. Half-day, one day, and multi-day trips are available from about sixty different outfitters on its various sections. Trips range from easy family-oriented floats to white-knuckle rollercoaster rides bound to get you wet. Sections include the Numbers expert run upriver and north of the town of Buena Vista, through Wildhorse Canyon, the most popular Brown’s Canyon, the easy “milk run” through the town of Salida, Big Horn Sheep Canyon, and the heart-stopping Royal Gorge above Canyon City. Like many who live in the valley, Mandy never tires of being on the river, and neither do I. The photos below show a rapid in the Numbers section and me imagining Mandy’s rescue of a swimmer in another rapid. Mandy lives in the fun, funky town of Salida, which has about 6000 residents. 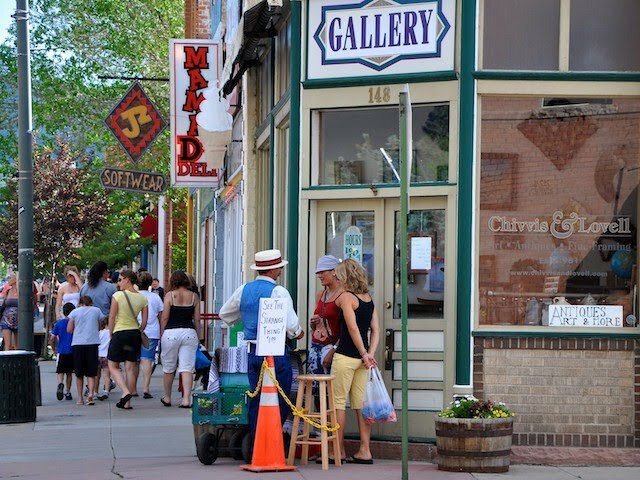 Salida was founded by the Denver and Rio Grande railroad in 1880 and was one of twenty finalists for the title of "America's Coolest Small Town" at Budget Travel magazine. The headquarters of the Arkansas Headwaters Recreation Area, where Mandy works, sits in the center of town. Also there is the historic Victoria Tavern (see photo below), where Mandy hangs out with her ranger and river guide buddies after work. Salida’s streets are lined with lovely red brick Victorian buildings housing tempting restaurants (such as favorite river ranger lunch spot Mama D’s in the photo below), art galleries and antique emporiums, outdoor sports stores, and an array of shops including one of my favorite independent Colorado bookstores, The Book Haven (http://www.thebookhavenonline.com/), seen in the second photo below. 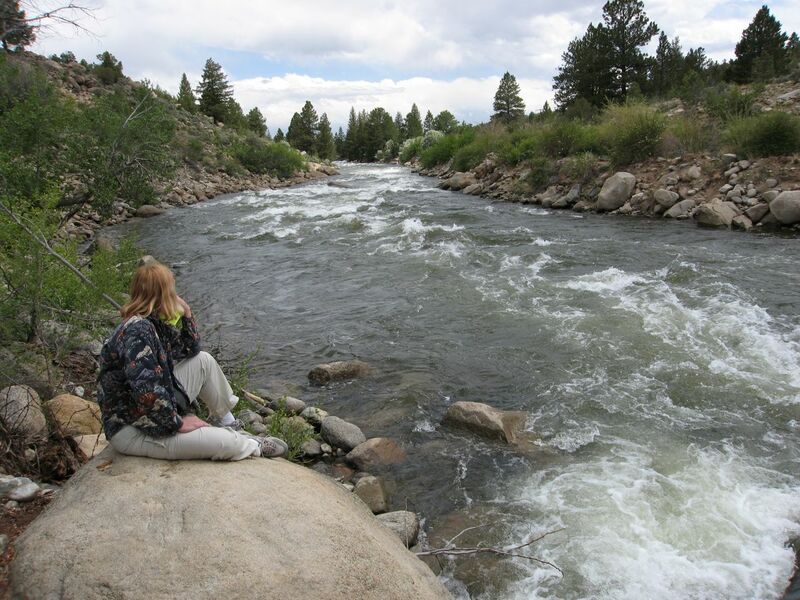 Every time I visit Salida or take a rafting trip on the Arkansas River for fun or research, I say to myself, “Why don’t I come more often?” It’s a beautiful setting for Mandy Tanner’s adventures, and could be great setting for yours, too, if you visit. 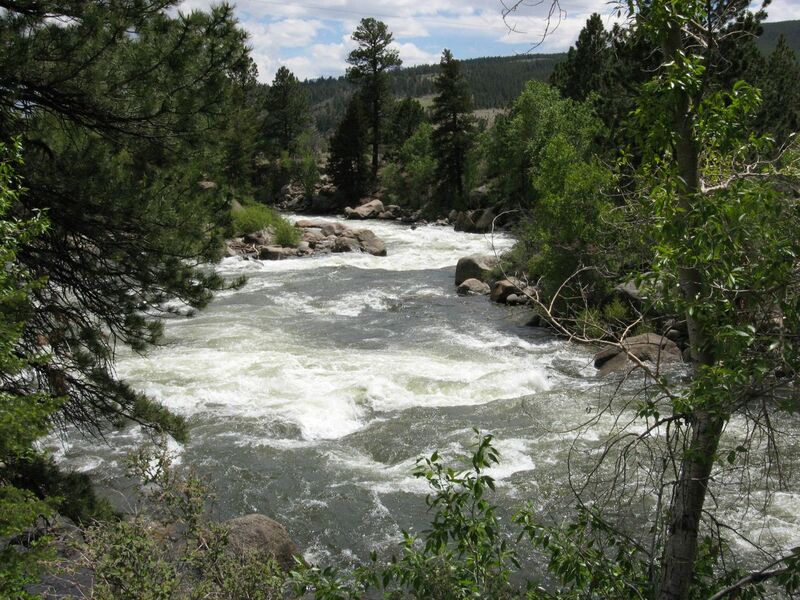 In the meantime, you can experience the Arkansas River valley while reading Deadly Currents. I hope you’ll join me there! Have you ever read a book, fallen in love with it’s setting, and made a trip to that location? What about Colorado? Ever visited my home state? Tell us about it! Remember, everyone who comments will be entered into a contest for a free copy of Deadly Currents. If you’d like to see what the other stops are on my virtual book tour, go to: http://bethgroundwater.com/2011_Virtual_Book_Tour.html , and if you’d like to order an autographed copy of Deadly Currents, go to the website for Black Cat Books (http://manitoubooks.com/) and click on "Contact Us”. Either call the phone number or fill out the form with your contact information. 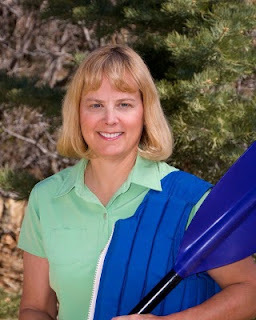 Beth Groundwater writes the Claire Hanover gift basket designer mystery series (A Real Basket Case, a 2007 Best First Novel Agatha Award finalist, and To Hell in a Handbasket, 2009) and the Rocky Mountain Outdoor Adventures mystery series starring whitewater river ranger Mandy Tanner. The first, Deadly Currents, will be released March 8th. Beth lives in Colorado and enjoys its many outdoor activities, including skiing, hiking, and whitewater rafting. 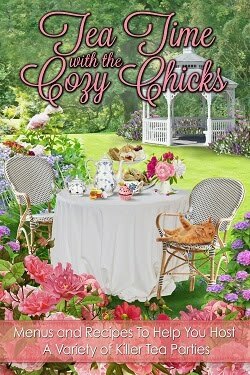 She loves talking to book clubs, too, and not just for the gossip and wine! 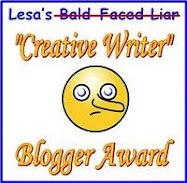 Please visit her website at bethgroundwater.com and her blog at bethgroundwater.blogspot.com. 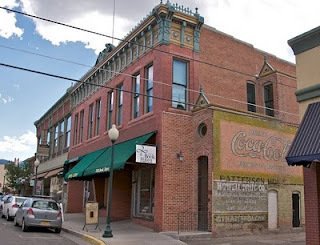 The Arkansas River, heart and soul of Salida, Colorado, fuels the small town’s economy and thrums in the blood of river ranger Mandy Tanner. When a whitewater rafting accident occurs, she deftly executes a rescue, but a man dies anyway. Turns out, it wasn’t the rapids that killed him—it was murder. Tom King was a rich land developer with bitter business rivals, who cheated on his wife, refused to support his kayak-obsessed son, and infuriated environmentalists. Mandy’s world is upended again when tragedy strikes closer to home. Suspicious that the most recent death is connected to Tom King’s murder, she goes on an emotionally turbulent quest for the truth—and ends up in dangerous waters. Great post, sounds like a very interesting town to live in. Sounds fabulous to me. So different from Florida where spring is almost over. I can't figure out where "everyone" is today so I bet they're all at the tavern chatting about today's runs down the river. I'll be right there! I've never been to America (yet), so neither in Colorado. I'm nut much of an outdoors type, only walking slowly with my camera watching everything that grows. But your book sounds like a very exciting read. Good luck with it. Sorry to say I've never been west of Ohio. But your pictures and description certainly make it a "to-go" place on my wish list. Most of the places I read about that I would like to visit don't really exist! :) So I'm just out of luck! Your book sounds like a great read, even though I am definitely not an outdoorsy type! Most of the settings that I read do not exist but sometimes their neighboring town does. I'm just waiting for my Kindle pre-order to download so I can start reading this book. I love outdoor adventure and combined with a mystery, it will be a book to enjoy. Would love to win a copy. I agree, Lisa. 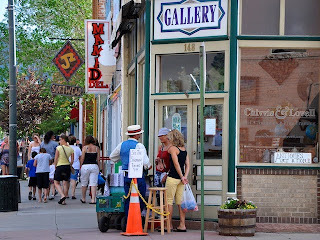 I think Salida would be a lovely community to live in. I've already chosen nearby Breckenridge for my retirement community, but it's only about 80 miles away, so I'm sure I'll be spending some weekends in Salida--especially during rafting season! You should plan a photo safari trip to the US sometime. We have some very picturesque places, especially in Colorado! And Lynn, I'd say it's about time you hopped over the Mississippi and headed west. I wish you luck in the contest, as I do everyone. But if you don't win, there's always your local library, and if you can afford to buy a copy, your local bookstore! Beth, fabulous photos! I fell in love with Colorado many, many years ago and always thought I would eventually live there. It wasn't to be, but Texas is a great place too. Colorado, I'm afraid, was relegated to skiing and visiting. I fell in love with and had to visit Alaska after reading Dana Stabenow's books. It really is as wonderful as she paints it. Great place to visit, but I don't plan to live there. I like to visit places through books. I have never visited Colorado which makes it even more important for me to read this series so that I can learn a little more about Colorado and its rivers. Thanks for your comments, Betty, Tempewytch, Jackie, Sara, and Helen! I, too, enjoy Maggie Sefton's books--and the lovely woman herself. She was kind enough to give me a blurb for my first book, A Real Basket Case. Have you met Maggie in person? 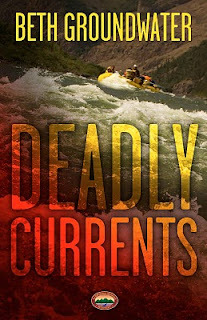 I do hope you--and many others--enjoy reading Deadly Currents as much as I did writing it! I, too, am a fan of Dana Stabenow's books, and of the beautiful state of Alaska. I think many places in Colorado are similar in appearance to Alaska. I hope you'll enjoy visiting my home state in Deadly Currents! I have been to Colorado with a singing group and loved crossing the Royal Gorge. We stayed at the YMCA of the Rockies and took a trolley into town. What a beautiful part of the country. I'd love to go back and see more. I've been to Royal Gorge, too--both walking across that very high bridge and paddling under it in a raft. :) I hope you do get a chance to come back. We drove cross country last summer and Colorado was one state we missed--but it was high on my list of hoped-for's. So, this summer's trip will take us straight through. One day I hope to visit the Salida bookstore you describe--and maybe the river as well! Great river pics, Beth. And the town looks and sounds like a neat place to visit. I apologize for jumping into this discussion so late, but I just returned from Sleuthfest. I love to read mysteries with strong settings like yours, Beth. Your desciption of the town makes me want to stop in for a visit and the river sounds like the perfect place for adventure and murder. Beth, when I was growing up my family took many vacations to Colorado. I have haten my own children there a few times. I always thought I would end up living there. Now I live in New Hampshire and love it, but if I were ever to leave here it would be for Colorado. I love your book cover. The picture of the rapids makes my blood stir. I can't wait to read your new series. I like mystery stories especially if the lead is a heroine and the author is also a female. The way the story is written is different if the author is female as compared to a male one. It does look a lovely location--and a lovely bookstore. Have visited Colorado and loved it. On the same trip drove to four corners where we toured the places that Tony Hillerman wrote about. Great trip. I know, I'm very late to the discussion, but we've been away. I've heard so much about Colorado and I love canoeing and hiking so I've always wanted to go there. 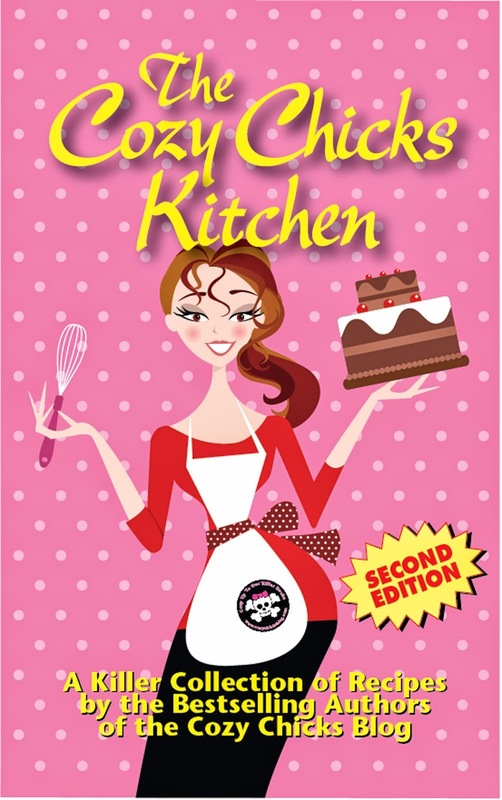 This series should be right up my alley - like the Nevada Barr novels I love. Please enter me if it isn't too late. Thanks for your comments, Sheila, Shirley, and Rural View! No, you're not too late, and you're all in the free book contest. And I hope you do get a chance to visit my lovely home state sometime, Rural View.